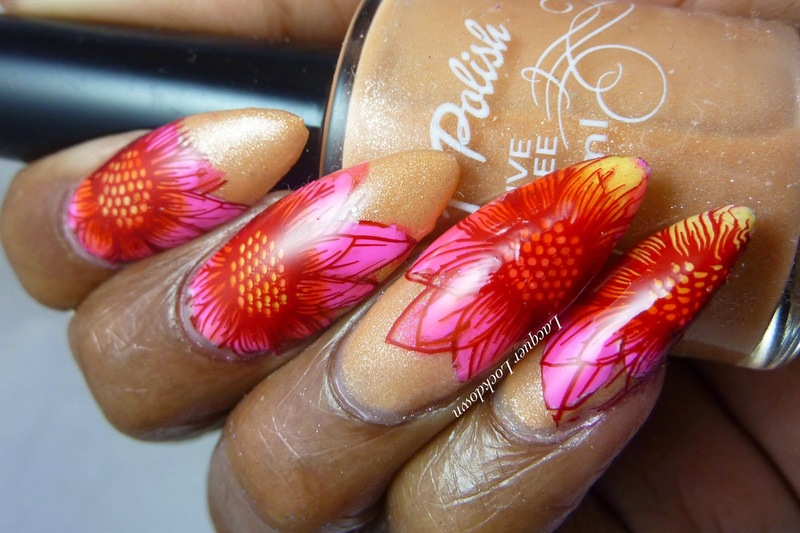 Lacquer Lockdown: Springtime Sunflower Nail Art Tutorial feat 10.1 Perfect Polish and UberChic Beauty Nail Art Stamping Plates! 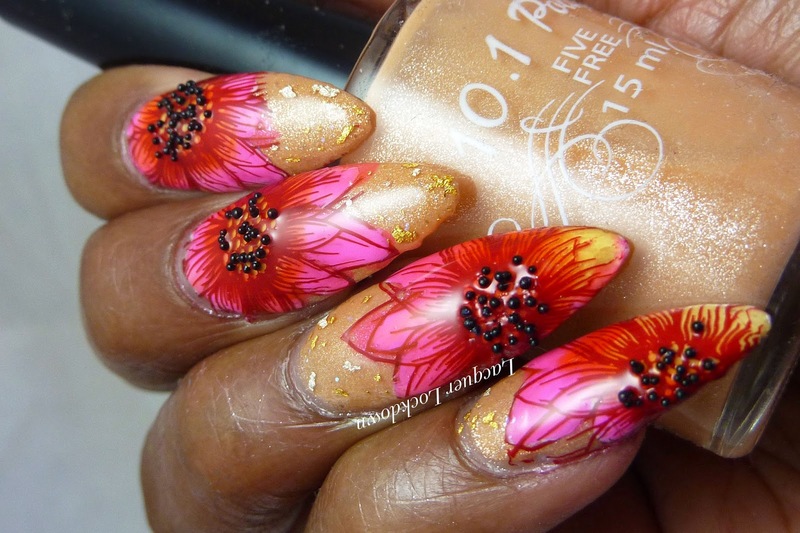 Springtime Sunflower Nail Art Tutorial feat 10.1 Perfect Polish and UberChic Beauty Nail Art Stamping Plates! Top of the Monday to you! Just a quicky post to remind you spring is right around the corner even if your city feels like a chill chamber of death. Lol sorry DC has been a wee bit nippy lately and its killing me. In any case yesterday I did a massive swatch a thon of the 10.1 Perfect Polish Sunshine and Rainbows Collection. If you didn't see it you can check out all the cool nail art and swatches here. I also happened to create a tutorial using Sweet Sherbet and Uberchic Beauty plates that I thought I would share today. And because I wanted to see what would happen if I kept playing I added some gold flakies and black "seeds" to the mix later on. I still don't know which look I liked better but I'm so happy with how this came out - bright and cheerful! So what do you think? Lol that's like 2 for 2 Uberchic floral tutorials though with different plates. I did a precision stamping nail art with her plates way earlier this month. Just straight lines and chevrons, but it was also killer. Gotta love a good plate. You can purchase 10.1 Perfect Polish here, and Uberchic Beauty plates can be purchased here. Thanks for reading and I'll see you next post. These products were sent for my honest review. For more information see my Policies.